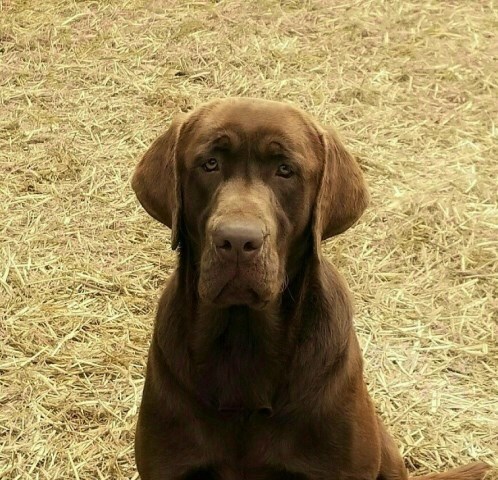 Johnson's Labrador Retrievers is located in Linden, Tennessee. We are AKC inspected, approved and licensed in the state of Tennessee. My name is Kevin Johnson. I have been breeding dogs for many years and have been breeding Labrador Retrievers for 9 years now. It started out as a hobby. Then as of March 2013, I started doing this as my full time job. Like they always say “find a job you love”, well this is it! I love animals very much and just love raising Labrador Retriever puppies. We feed our Labs “Purina Dog Chow Complete Adult” Our pregnant moms to be, nursing moms and puppies all eat “Purina Puppy Chow Tender & Crunchy”. All of our Labrador Retrievers drink only filtered water, which removes contaminants and chlorine in the water. It also makes the water taste great. The water hoses that we use to get the water to them, is drinking water safe and lead free. My Labs have a lot of room to run around and play with each other. I have a big condo dog house that they live in that is the size of a small shed. Then I have two birthing yards where the moms have and raise their puppies, with one condo dog house in each yard that is insulated and has linoleum flooring. All of the dog condos have A/C and heat year round to keep our puppies, moms and dogs nice and comfortable. The mom and puppies have a lot of room to play and run around. All of my dogs that I breed and my studs have been raised from puppies by myself. I have gotten them from all over many states. I have seven breeding females and three breeding males. If there is anything else you would like to know about us just ask and I will get back to you A.S.A.P Thank you and God Bless!